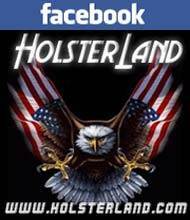 Polymer ankle holster featuring a molded body for a secure fit. Right-hand draw. 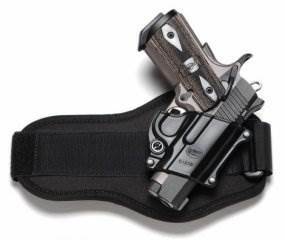 Holster attaches to left ankle. Retention adjustment screw allows user to select ease of presentation with security of retention. Passive retention with rapid deployment. Ultra Lightweight and comfortable for all day use.